On Demand video streaming has been around for some time now. iTunes launched in 2001, Quickflix in 2003 and the list goes on. For the sake of this article I am focusing on Netflix which is the world’s largest on demand streaming service and on the 24th March 2015 launched in Australia. Your guests are going to want to stream Netflix on your internet connection and wirelessly. 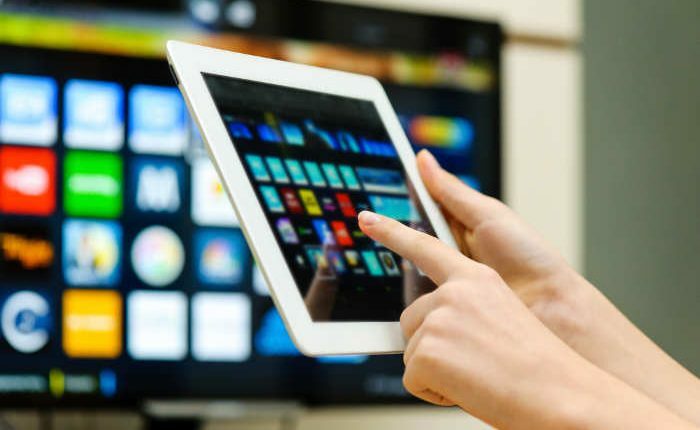 Netflix is accessible, anywhere anytime as your guests can watch Netflix on nearly any internet-connected device, including Smart TV’s, Computers, Tablet PC’s and Smartphones. There are Netflix apps also available for iOS, Android and Windows and gaming consoles, like PlayStation 3 and PlayStation 4, Xbox 360 and Xbox One and Nintendo’s Wii U. .
What does this mean to your business, your guest wifi and your internet connection? Does your broadband have the speed and download cap necessary to handle it? There are a lot of businesses that may have difficulty meeting the bandwidth requirements. Connection speeds do decrease during peak-usage times. For Netflix it would be around the 6pm – 10.30 pm time frames. Netflix is usually set to stream at the highest quality over the internet connection without the need for buffering (extracting the data first to avoid transmission interruptions). If your internet connection has fluctuating speeds then the video will jump around from high, standard and low quality during the program which is very annoying and makes viewing extremely frustrating and often impossible. There are lower streaming settings, but your guests may not have theirs set up that way. Below is an abridged version of examples of bandwidth depending on streaming settings. Low Quality: A minimum connection speed of 1.5Mbps is recommended. If your connection is that slow, one guest might be able to stream, but don’t think you or any of your other guests will be doing anything else on the web. Medium Quality (SD): 3Mbps is recommended this time, but once again you’ll be better off doubling that to 6Mbps. 6 would allow one user to watch a show and another guest to do some other basic web surfing or use social media. High Quality (HD): Netflix recommends 5Mbps for one user. Realistically 8Mbps or higher is probably better per user. Most users in Australia rely on an ADSL2+ landline connection for broadband. ADSL2+ has a maximum speed of 24Mbps if you are close to the exchange. And it drops off the further you are away from your exchange. Many users end up getting around 10Mbps or less in most cases. Ultra HD Quality: Netflix supports this resolution in some countries. The minimum recommended connection speed is a stable 25Mbps. This is above the absolute fastest possible speeds over ADSL2+. You will need a cable connection or a fast NBN connection, if your guests want to stream Ultra HD. The figures above are examples for one user streaming Netflix – you do the sums using the amount of units you have at your complex and don’t forget that there could be multiple people in each unit wanting to stream from different devices. The result could be disastrous – to your internet connection, to the guest experience and to reviews about your business. If you are lucky enough to be connected to the NBN you should have ample bandwidth if you sign up for a 100Mbps NBN plan. For businesses with ADSL2+ connections – forget about streaming at all. You will need to start considering future proofing your business and start to think about spending more money on your monthly internet connection to get faster speeds to provide a better experience to your guests. A lot of foreign visitors subscribe to their favorite sports for streaming while they are away and will certainly want to use your internet/wifi to view the games. It may be time to start weighing up if Foxtel is a worthwhile monthly expense and perhaps putting that money towards better bandwidth. The future is on demand.